Now that you have Cleaning 101 under your belt, it’s time for Moving 101. You’ve finally purchased your dream home on the beautiful Eastern Shore and now it’s time to load up and move! Many people will tell you that packing and moving are some of the most stressful parts of buying a new home- but they don’t have to be! With a little planning and preparation, packing and moving can actually be one of the most enjoyable parts of your move. Organization is key. Put together a notebook or binder to organize your to-do lists, budget, and receipts and use dividers for easy access to each section of your binder. 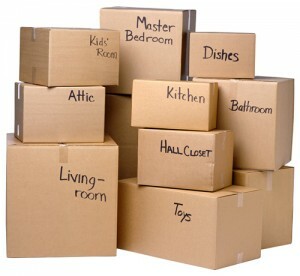 It would be helpful to also have a section designated for mental notes such as where things are packed or where they need to be packed for easy finding after the move. Once you’re organized it is also important to calculate your moving costs. Whether you hire a professional moving service or do everything yourself, there are a lot of expenses to be taken into consideration. Moving costs may include: the cost of the moving service if you choose to use one (there are a lot of great ones in Baldwin County), moving supplies (boxes, tape, padding), travel costs, bills due at your old home and your new home, “rainy” day money in case of an emergency, and anything else you can come up with. 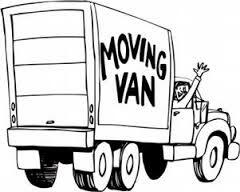 Moving expenses are a vital part of planning a move. Lastly, if you’re able to, try to prepare your new home as much as possible before you move in. Take care of things like having the carpet cleaned ahead of time so you won’t have to deal with the inconvenience of it after you’re in your new home. And there you have it! You have successfully completed Moving 101 and you’re on your way to becoming an EXPERT!